Watergate is David Haid, Orhan Terzi and Tommaso De Donatis. Orhan is most known as DJ Quicksilver and Tommaso is the producer behind DJ Quicksilver and also known under some additional 25 aliases/projects. The Watergate-project was started in 1998 and heir first release, The Battle (also known as Mull Of Kintyre) contains a bagpipe-sample inspired from the hit single Mull Of Kintyre by The Wings (ex-Beatle Paul McCartney’s old band). The track peaked at no 20 in the German singles chart. But it was with the third release, Heart Of Asia that the big success came. The track was heavily inspired by Ryuichi Sakamotos 1983 track Merry Christmas Mr. Lawrence which was on the soundtrack to the movie with the same name (starring David Bowie and Ryuichi Sakamoto amongst others). The track came with remixes by Dj Quicksilver, Hemstock & Jennings, Des Mitchell, James Holden, Rising Sun & Astro. Heart Of Asia peaked at no 3 in the UK singles chart. It was later re-released as Merry Christmas Mr Laurence (Heart Of Asia) in 2001. It was later covered by Jamaster A as Merry Christmas Mr Lawrence. Worth noticing is that there was a bootleg floating around called Waiting For Tonight In Asia mashed with Jennifer Lopez’s popular track, Waiting For Tonight. The bootleg was done by a guy called Mixmachine. He did some nice mashups back in the days. There was even an album, the 1999 title The World Of… which contained 13 tracks including the singles mentioned above. The last release from Watergate was the 2002 collaboration with Mythos (of Mythos ’N Dj Cosmo-fame) called A Neverending Dream which was a vocal track. The track got pretty catchy lyrics and came with a pretty hard remix by Hennes & Cold. So what can be said about Watergate which I havent mentioned above? Well, not much I guess. When I first heard Heart Of Asia, i was blown away with the track, especially in the breakdown. When I later heard the Jennifer Lopez-bootleg I fell in love again. And that love has so far lasted for more than a decade. 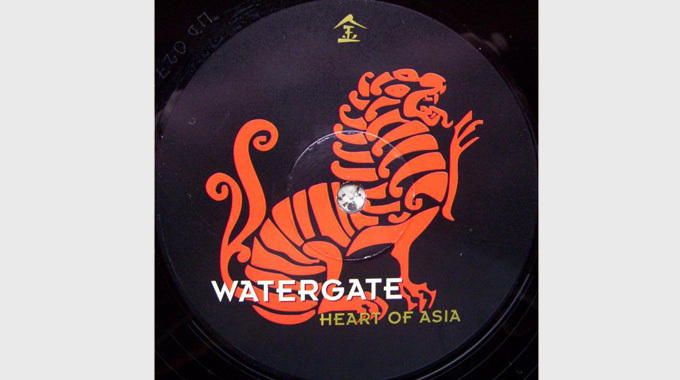 One Response to " Classic FTW: Watergate – Heart Of Asia "